It has been proven that when schools strengthen relationships with families and community organisations, they can help build an environment that has the greatest impact on students, and in turn a great impact on the school. With the recent growth in communication platforms and technologies, there has never been a more opportune time for schools to build a network that not only leads to improved learning outcomes, but also can help mitigate against barriers to student learning such as ill health, bullying and isolation. Below are our top 5 tips on growing engagement in your school. Your school can have the most amazing event calendar, win the most awards, and deliver the exceptional ATR scores, but unless these news items are communicated in a timely manner, to the right target audience, through the right channels, you will miss the opportunity. In creating communication, you need to recruit the right content team. Your team will ideally comprise a content manager who will be responsible for scheduling content, managing channel distribution and targeting, as well as a content writer(s). Content writers can come from your parent community, as well as your teacher network. Put the word out at the start of the year – you may want to get specific in your search and look by topic, eg “Sport Writer”, that way you will end up with passionate writers producing engaging content. If you haven’t already got one, a school app such as School Star is a great platform to publishing engaging content. Parents can use tags to only display content important to them, it allows for two-way messaging between parents, translates the news feed into over 90 languages and comes with a comprehensive analytics suite, so you have 100% transparency on your engagement success. 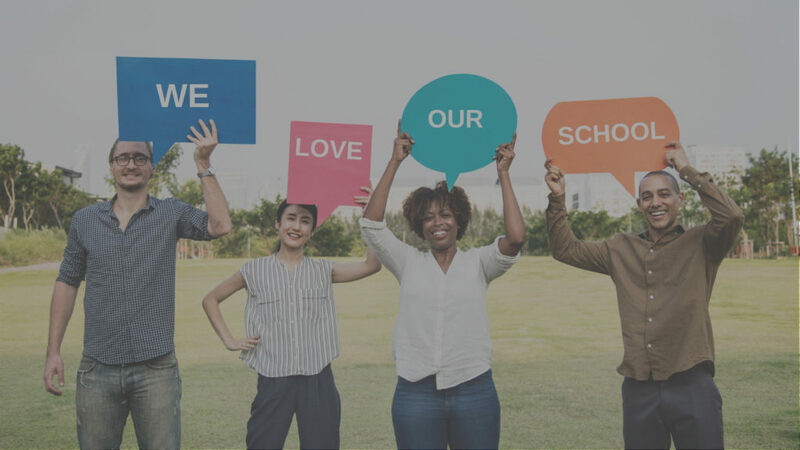 It’s important to ensure that parents continue to feel engaged with the school, and are given the chance to form strong relationships with the school community through a retention strategy. Ensure every class has a parent committee that organises social events for the class throughout the school year. Hold a couple of key events throughout the school year, and use them for fundraising; Back to School Picnic, Parents vs Kids Championships, Mother’s/Father’s day breakfast, Bogan Bingo with a theme, Karaoke Disco Night, or even a degustation dinner with a silent auction in a remote location, it all depends on your school community and how parents like to spend their time. Hold Open Days which are ran by the students to showcase “a typical day in the life at your school”. Use it to showcase student achievements and school highlights. Create a Buddy programme not only for the students, but also for parents who join your school throughout the year to help them transition into the school community. Project your values in a way that is more meaningful way than just your motto. Showcase the tangible proof of what you do and why you’re doing it, and don’t be afraid to get personal. The more authentic your message is, the more credible your story becomes. Make sure your message is consistent across your website, App, brochures, and social media. Word of Mouth is the most influential marketing you can ever employ. A 2013 report published by Nielsen states that WOM “recommendations from friends and family, often referred to as earned advertising, are still the most influential” type of recommendations/advertising. What’s more, 84 percent of consumers stated that they believed information from friends and family about a product to be the most trusted source of information. Find your parent ambassadors and empower them to spread positive word of mouth through a range of strategies such as positive feedback on parent forums, good reviews on parent community forums, encouraging positive ratings, getting busy on social media and posting photos/video from school events on personal pages. Whatever strategy you employ, make sure you are keeping track of what’s working and what’s not. Review attendance numbers from your events, social mentions and engagement, monitor traffic to your website and dedicated landing pages. We are living in a rapid space of change, what worked 5 years ago may have lost its relevance now, so keep building on your success with transparency and a measured approach.